I became a tad obsessed with this music leading up to summer and made it front row with my friend Lisa who was equally excited. Amazing experience, your favorite band, playing in the hot Gizzy sun with a vineyard as a backdrop. This would be hard to beat!! After releasing the new album ’Radlands’ a few weeks back, I got the same feelings of excitement I felt two years ago: Summer approaching (although this time in May), and Mystery Jets playing (at Brixton Academy). Best gig this week for sure. I think what topped it of was the glitter at the end followed by my two favorite songs performed as the encore. “Have you heard the birds and bees? 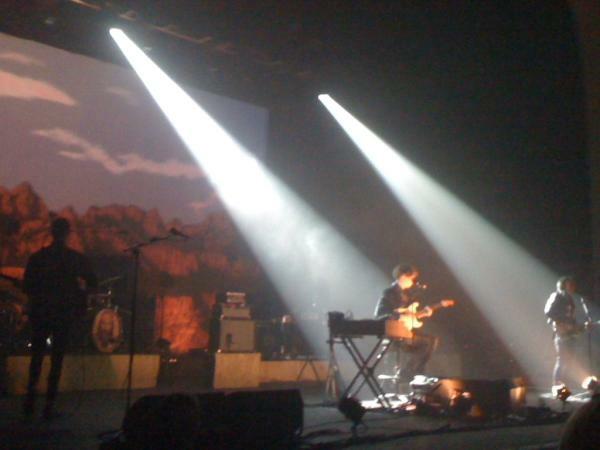 This entry was posted in Uncategorized and tagged brixton academy, london, myster jets, radlands. Bookmark the permalink.